A big congratulations to all of our competitors! Cross country is soooo fun I won it here for the West Coast and came 15th in Canterbury. How long did you run for. Did you get to vs other schools. Next time you could tell us how long you ran for and put more photos. It looks like you had a lot of fun, you never know who might be the next's Usain Bolt. 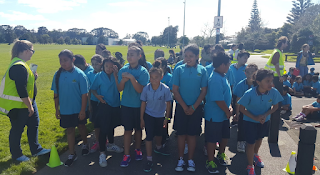 Our school cross country was 2km long. Our top placed students went and competed against schools from in our area. They ran 2.2km, but it was up some very steep hills! Where do you train for your cross country? My name is Jack and I go to Karoro School on the West Coast. Congratulations to all the people who participated in the cross country and the top 3 out of the boys and girls. I hope everyone who participated in the cross country had a great time. I think I said this in the last comment but our cross country was cancelled because it was too wet so then our top three people from last year went again and we didn’t do it again. Lucky for the people who didn’t want to do it! If you want so see some of my writing and more work from me you can check out my blog at http://karorojacksh.blogspot.co.nz. Thank you. We go down to the league grand down the road. I run 3 km for our one. Thank again. Congratulations on your successful cross country. It really looks like you guys enjoyed the day! By the look on your faces I can tell you guys gave it your best. Winning isn’t everything. The photos you have showed us that you guys really enjoyed watch and support your fellow competitors. Also I can tell you guys are good listeners because you are sitting very intently listening to instructions. If you could put in more photos next time you have something like this that would be extraordinary as well. We want to see you race! We also did a cross country last term where I got 6th on the West Coast, a bit worse than my 1st place finish a year ago but still I’m happy. Another student of our school got 1st as well so Karoro had 2 in the top 6. If you want to check my blog as well that would be mint! The link is http://karoromatthewr.blogspot.co.nz/. If your into sport I just did a really cool slideshow on different physiques in sport! My name is Gage I go to Karoro School on the West Coast. I saw the photo of you guys training for the cross country so the top three could go to the Auckland Districts cross country. How many laps did each year have to do and who were the fastest in the group? 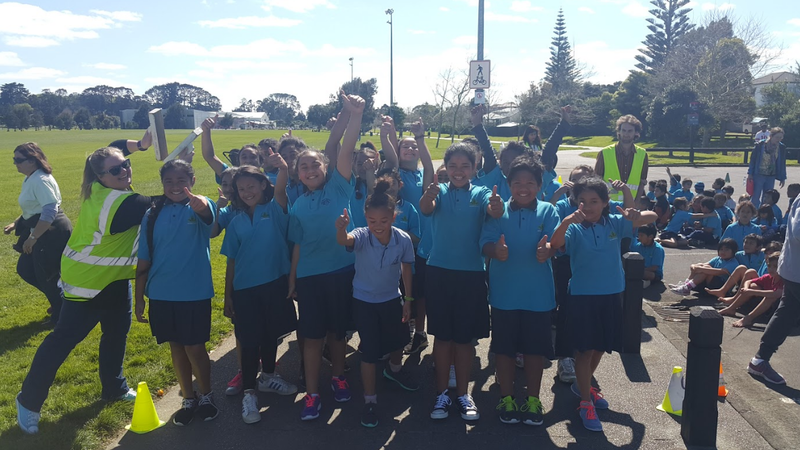 Who were the people that made it in Auckland Districts cross country? I remember when I did cross country I came third equal in the school cross country and 15th in West Coast cross country but I did not make it into Canterbury but I did a couple of years ago. 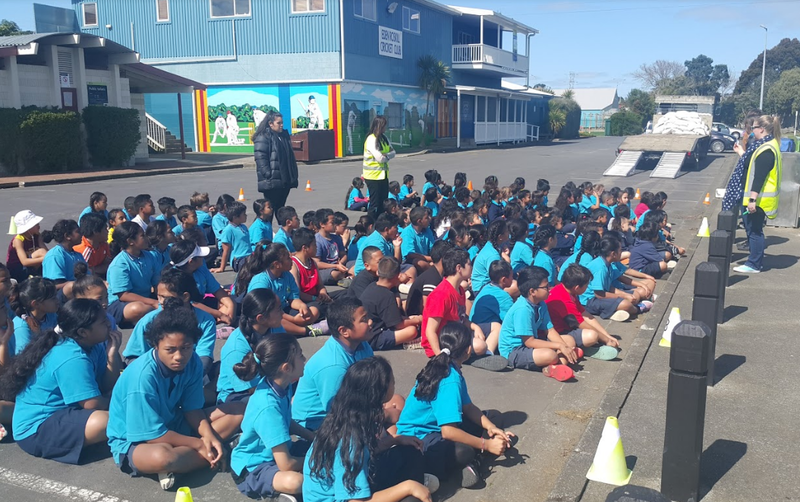 Did anyone at your school make it into North Island cross country. The latest thing I did in my classroom was the geometry work I had to translate, rotate, reflect different shapes and make art out of it. My name is Connor, I am from Karoro School Greymouth on the West Coast of the South Island . My hobbies include sports and driving my rc car and hanging out with my mates . Where is your school in New Zealand ? I really enjoyed looking at your school cross country. Our school had cross country in term 2 but sadly it got rained off. So the teachers just pick the best runners in the school that they knew of. Those people went on to race in West Coast cross country. Congratulations to your class winners of the cross country. Maybe next time you could make a video of the cross country. How many classes were in the cross country because our whole school does it. Does it rain a lot where you live ? In our class we have been doing maths artwork. My art work is based off a maori starfish and a maori clown fish . This art was based around geometry transformations and so it had to include rotation, reflection and translation. My artwork was great. Thank you for blogging on Scott Class blog. I love how your blog comment is very long and filled with lots of words. Oh and I hope you had fun at cross country. Wow I have never heared about that school? Do you enjoy running? I love running.What year are you? Our school is in mt roskill.